Replacing the stock capsule in the Rode NT-1 with an RK-47 revoices the microphone, replacing the bright/peaky high frequency with a broader, flatter response curve. 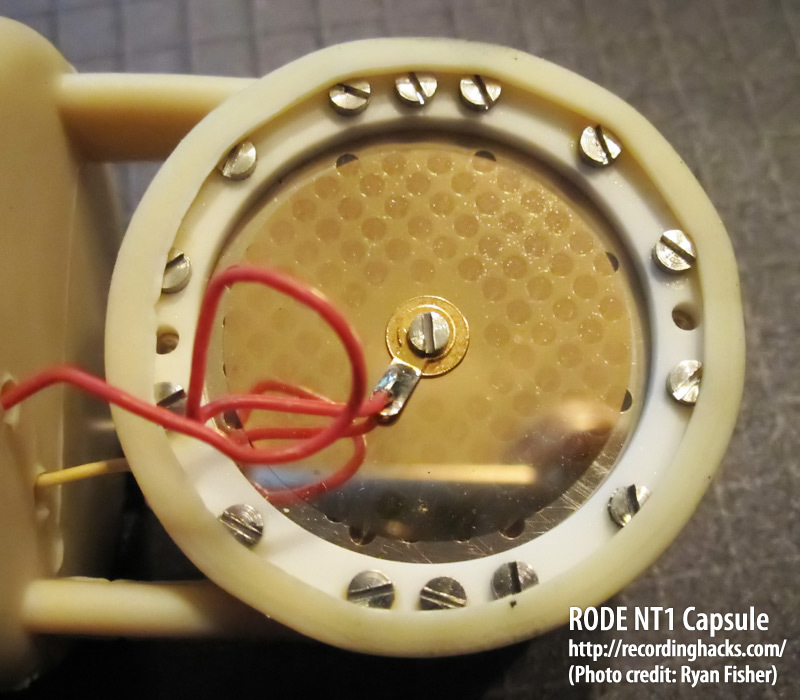 The Rode NT1 was a large-diaphragm FET condenser microphone designed by Jim Williams of Audio Upgrades. It was received as a remarkable microphone at its price point (£329 = ~$530 in 1997 dollars). 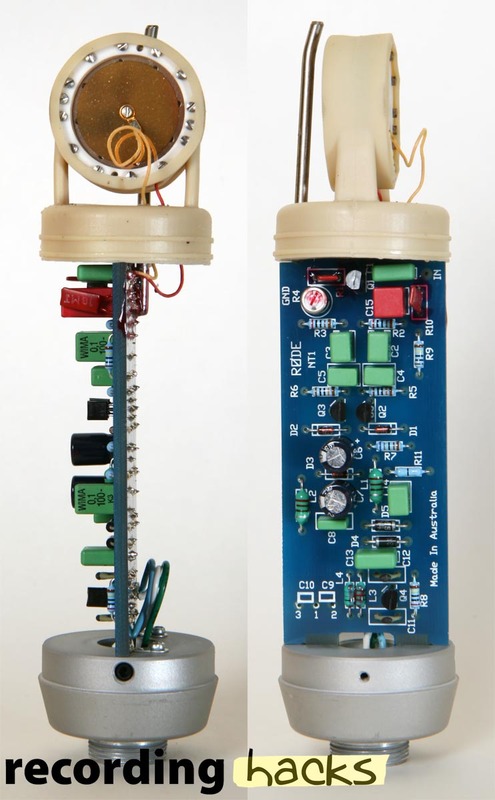 The mic pictured on this page was the second NT1 from Rode; the first shared Jim Williams’ circuit, but had a different body, grille, and possibly also a capsule. See sidebar link for more information. 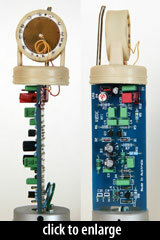 The amplifier circuit employed high-grade components from Röderstein, Hitachi, and WIMA. The output circuit was electronically-balanced and transformerless. Some disparity exists between published specifications. For example, a 2002 spec sheet from Rode cites the self-noise at “<13dBA” and the sensitivity at 20mV/Pa, whereas a 1997 SOS review claims 17dBA self-noise and 18mV/Pa sensitivity. This could reflect a change in test methodology, or an improvement in the product over the 5 intervening years. 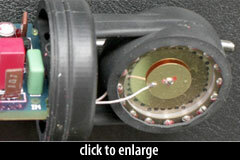 The NT1 and NT1a mics use three different capsule variations based around the K67-type backplates. One of them is center-terminated and is basically a K67 recreation (intentional 8kHz boost). 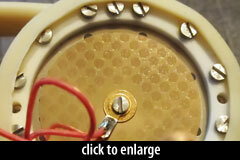 Another … has a HF resonator plate for even more HF [boost]. And the third type of capsule uses the K67 backplate pattern, but the diaphragm is edge-terminated and has a very unusual drilled aluminum plate on the back side instead of the usual back diaphragm. The mic had a painted finish that was variously described as “creamy gray,” “reassuringly vintage” (SoundOnSound) and “public hospital blue” (Audio Technology). It shipped with a vinyl storage pouch and a ring mount. 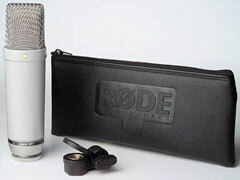 The RØDE NT1 is also known as: NT-1. The mic was released in 1997.